My children are way older than the suggested ages for this book but I was still interested in reading it. I love the simplicity of the story so that very young children can understand it. The illustrations help bring the story to life. I shared it with my daughter (who is 12) and she enjoyed the story and illustrations as well. We both felt that this book conveys a message of love. It's an excellent book for young children! This is an adorable little book with such a sweet message. My three year old absolutely loves it and we've read it over and over again. The words are simple enough for a toddler to understand, but the message is powerful. I'm not a fan of the font chosen for the text, but other than that I think this is the perfect book for a child to learn more about Jesus and His love for all people and especially children. I really enjoyed reading this book to our 2 year-old! I loved the way that the words were easy to understand, even for someone that young. The pictures are adorable and I loved that the final message of the book is just how much Jesus loves the children and especially the child that you're reading the book to. My little one seemed to love the book as much as I did, even getting a little upset when I removed it from his room. That's got to be one of my favorite things as a mom, seeing our kids grow and learn and love many of the same things that I do! It is a colorful board book with cute, colorful pictures, accompanied by simple language meant to help little ones know that just as Christ loved the Nephite children, He loves them too. It is a cute book with a positive message. It helps little ones learn the story of the Savior visiting the Americas after his resurrection from the dead. It is good for even the smallest of children to know of His love and mercy towards these ancient people, especially how He took the time to help each and every person who was sick, and He loved everyone no matter what they looked like. My only problem with the book was the first page. It isn’t doctrinally accurate. I even read all the chapters from the time Samuel the Lamanite prophesied until after Christ died. I could find nothing about the Nephites believing Christ would visit them after His death. They knew he would would be born and die, but they didn’t know they would ever physically see Him. 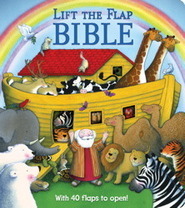 A cute introduction to scripture stories for the very youngest crowd. Blessing the Nephite Children is an adorable baby board book version of a story told in 3 Nephi from the Book of Mormon. This book focuses on the love the Savior has for children everywhere and what the children during his visit to the American continent after his death experienced. The illustrations are sweet and attractive. This book makes for a great introduction to the Book of Mormon for young children.